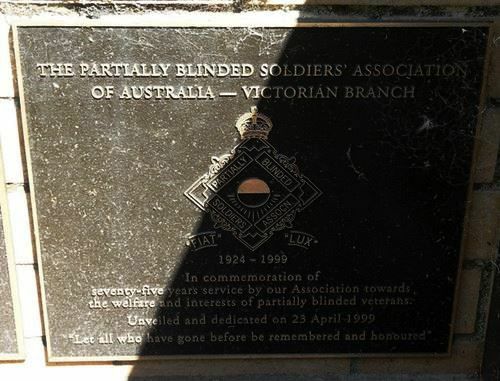 A plaque commemorates the seventy-five years of service by the Association to partially blinded veterans. the welfare and interests of partially blinded veterans. "Let all who have gone before be remembered and honoured"